Motivation and Sticking with It! Finding success is not as easy as it sounds. Many begin an exercise routine with intention of getting stronger, losing weight, improving health, but end in disappointment when they lose willpower and commitment. These people are not alone; we all face commitment difficulties in life, and need some outside help from time to time. To help ensure success, many need external support or someone’s help to reach their goals. Many people can help you along your health and fitness journey, from exercise buddies, fitness coaches/professionals, and online support groups. However, if you want serious support when starting and building your exercise routine, consider consulting a physiotherapist. We are able to develop an individualized exercise routine, and help you do it right and stick to it. This will result in less pain/injury, stronger body & mind, increased flexibility, and a happier you. Most importantly a physiotherapist can provide you with education you may not receive from other providers. Whether you are beginning a new routine, getting back into an old routine, starting to exercise after childbirth or an injury, or just looking for some support on your journey, a physiotherapist can help develop a plan that will work for YOU. Your exercise plan must fit your goals, needs, but also make sure it is a program you can and will stick with. It has to fit into your daily life. Convenience: it has to fit into daily life – at home, not always at fancy gym. My clients laugh when I say “anytime, anywhere” for some exercises; or we make a rule for a ‘toll’ before climbing up/down stairs (do 5 reps before heading up/down the stairs). Variety: your program must focus on different muscles, positions, and body parts. We do not live life in one position, but rather move about during our day. Support: physiotherapists are great educators, motivators, and coaches. They will help you understand why you are doing specific exercises and realize the benefits each can have in helping you achieve your goals. Ask family and friends to join or help support your goals too! 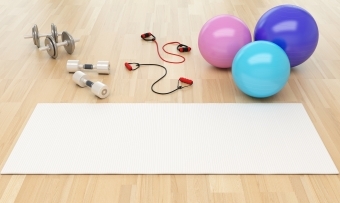 Does your exercise routine match these elements? Have we motivated you yet to change and get on track successfully? Remember it takes time and commitment, so lean on your family and friends for support and encouragement!